While humans continue to enjoy numerous health benefits of chocolate, the same cannot be said about chocolate's effect on pets such as cats and dogs and dogs specifically. The effects of chocolate ingestion by your pet dog are bound to be bad and can be life threatening. EFFECTS OF CHOCOLATE ON PETS AND PARTICULARLY DOGS. The effects of chocolate on your dog mainly depends upon the consumed quantity and also by the type of chocolate consumed. 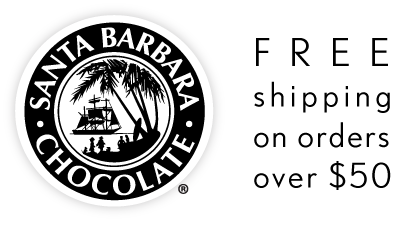 Generally pure dark chocolate is reported to have more lethal effects if consumed by dogs. This is because of the higher concentration of cocoa solids and thus theobromine and caffeine. WHAT MAKES CHOCOLATE SO TOXIC FOR DOGS. Chocolate contains substances methylxanthines or commonly caffeine and theobromine. Humans can breakdown and easily digest chemicals like theobromine more effectively than dogs. 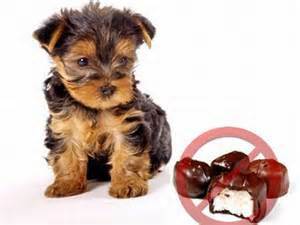 Theobromine increases the toxin levels in the blood of dogs as it is digested. While a small dog can face death after consuming a small amount of chocolate, a larger dog may just feel adverse effects of diarrhea or vomiting. Even a small amount of chocolate consumption is likely to give your dog an upset stomach. Usually the treatment for theobromine poisoning in dogs is to induce vomiting within two hours of ingestion. Please call your veterinary doctor for specific actions to take if this emergency should happen. 2 OZ OF DARK CHOCOLATE CAN BE DEADLY FOR A 10LB DOG. 5 OZ OF Milk CHOCOLATE CAN BE DEADLY FOR A 10LB DOG. Most large flat chocolate candy bars are about 3.5 oz for easy visual reference. Hershey bars will vary in size and weight, but one of the most common sizes is the 1.55 oz. milk chocolate bar. There are several sources of caffeine likely in the house beyond chocolate like tea and coffee. Get the details on how much caffeine is in chocolate.